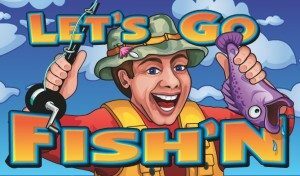 For all of the fishing, slot playing men and women in this world, we are offering up the perfect combination of these two passions with our Let’s Go Fish’n free online slots game from Aristocrat. 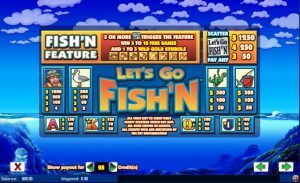 This slot style game does an excellent job of giving a realistic essence to its fishing theme that will make any outdoor man or woman drawn in to the hunt of dropping a line and reeling in the big catch. 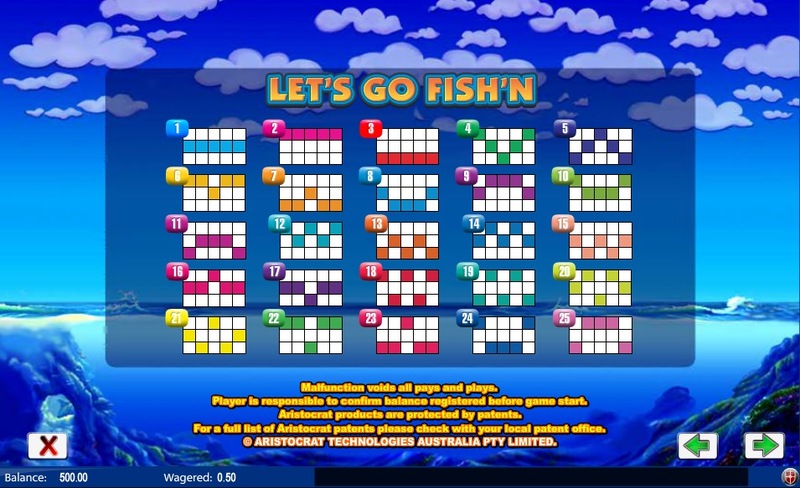 Aristocrat’s positive name has certainly followed them with this game with their excellent and detail styled development. For those unfamiliar with Aristocrat, they are an Australian company based out of Sydney. They have become one of the largest names in the slot machine industry making it possible to branch out and make offices in many various countries. 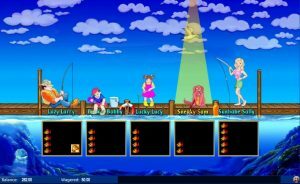 With all of this being said, it is obvious that Aristocrat has a lot of experience to help back this fishing, reeling and dealing slots game to create an excellent experience to satisfy any outdoor man or woman with a love for the slots. 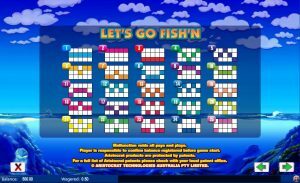 Not to mention, with this game having a previous release in Australia, it has proved itself in the industry already as it is Australia’s most popular fishing slots game. The game does an excellent job emulating a real fishing experience. 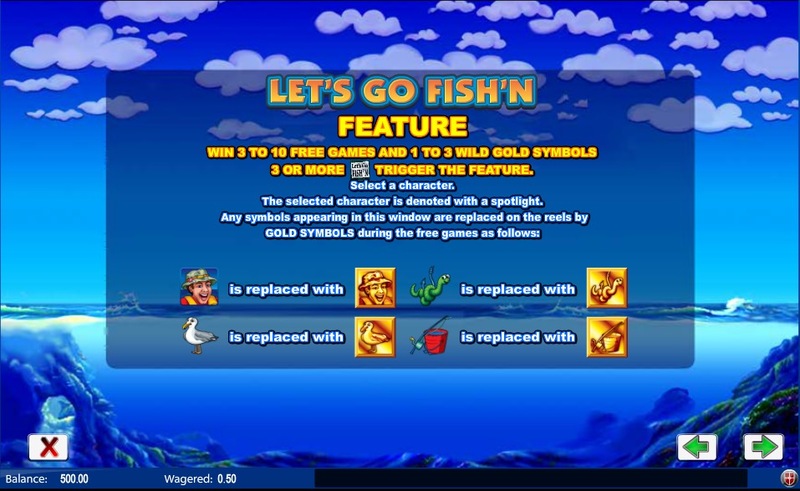 With five reels and 25 fishing lines, the game certainly requires an expert fisherman to be able to handle the fast-paced experience of maintaining multiple lines all at once. Not to mention, the graphics make you get a real feeling of a true deep-sea fishing trip with a stark blue backdrop, passing clouds, seagulls, worms, a fisherman and of course an array of fish. Plus, the game incorporates music to go along with the visuals to help make for a pleasant experience. 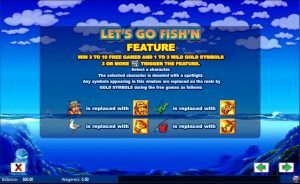 And per the Aristocrat way, special features can be unlocked to add more comrades in this deep sea adventure as the free spins bonus round begins and unlocks more characters. 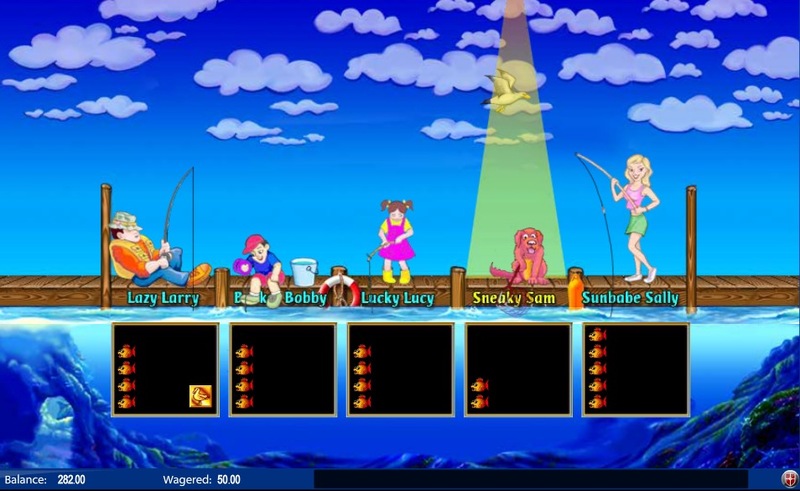 The player gets to pick their special bonus character to help along the way as they work together to try to reel in a big win. 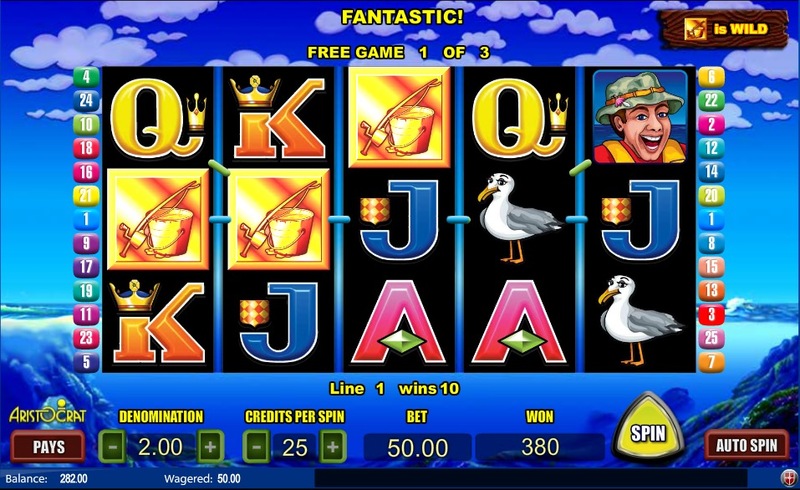 These special characters can grab multiple types of bonuses for the player including extra spins and much more. Now that there is a clear idea of the visuals of this game, what style slots are we talking about here? In other words, how much will one have to spend to play this game? Will this be available for fishermen of all budgets? No worries about that issue. 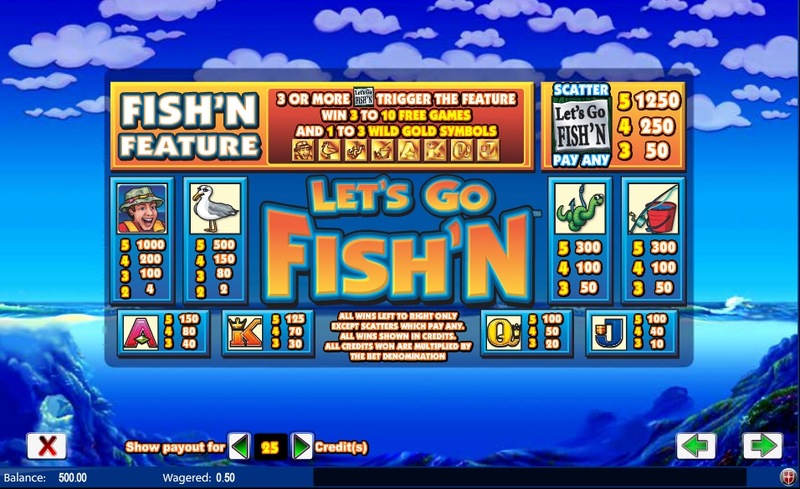 This game is set so any fisherman can take this adventure for a spin with bets starting as low as only a penny and going up to a couple of dollars. So while all fisherman are always ready for a grand adventure, this will let each one set their own speed when it comes to dishing out of their wallet versus their bate bucket. 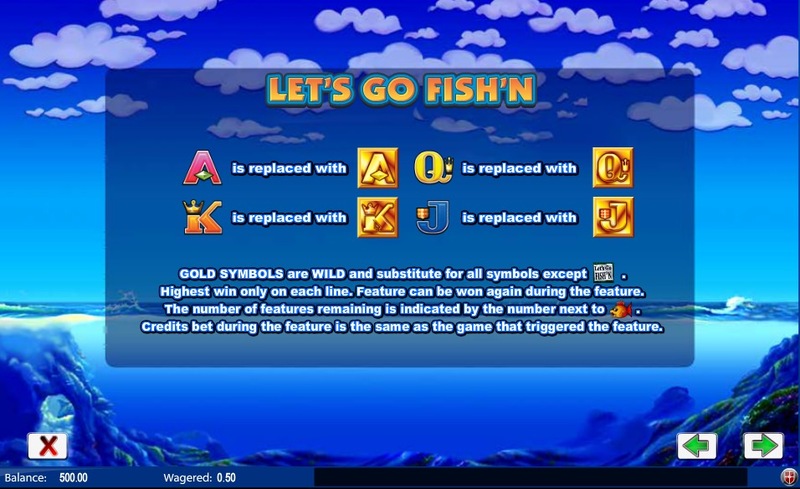 And of course, per the vegas slots game style, one has to match up the symbols to win! 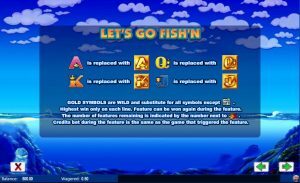 With this game sure to catch an fisherman’s eye, be sure to take a gamble with Let’s Go Fish’n. Whether on the actual ocean blue or sitting comfortably at home, be sure to come join the fun and sit back, drop a line and see what can be reeled in at SlotsClub.com.